Having said this, you see I am very much involved in making sure I give my family a nutritious meal everyday and at the same time be creative in avoiding food wastage. By creative, I mean not spending for equipment or kitchen tools, it's being able to incorporate careful meal planning and apply simple life hacks to Do More With Less. It's simply being practical and caring for the environment as well. Did you know that Metro Manila along produces 5,600 tons of trash per day and 75% of this comes from households? I also learned from the same research that half of the daily household waste comprises of food scraps and leftovers. It's quite alarming and sad because, we unconsciously waste so much food which could have fed other hungry human beings in other parts of the world. So with this, Electrolux launched a campaign which empowers moms like us to be more resourceful at home, so we could help make a positive difference in this world, one step at a time. I want to actively take part of this advocacy by sharing with you how, in simple ways, I could help reduce food waste by maximizing our food resources, through series of posts about meal planning, proper food storage, food recycling, and also easy recipes. I also want to encourage YOU, to join me in this challenge to reduce food waste. When my mom was still around, she was the Kitchen Queen and I was the Dining Princess. 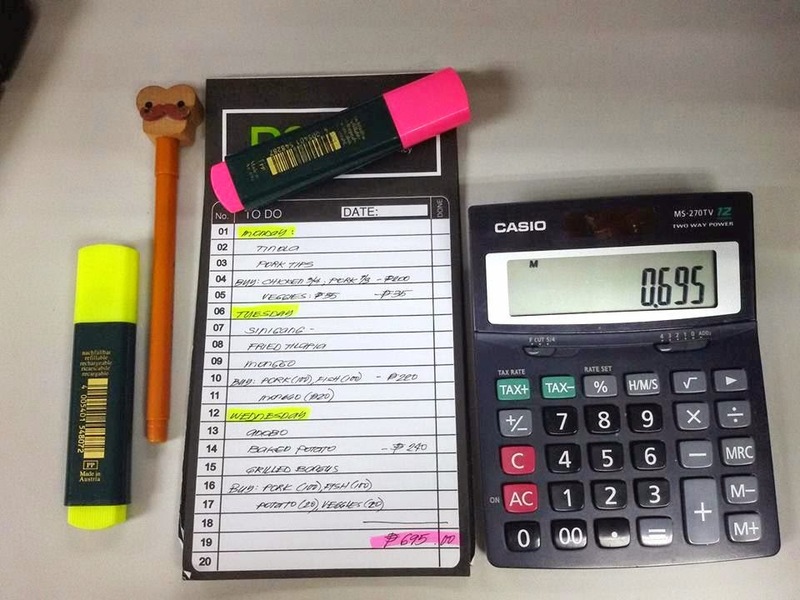 From meal planning, marketing (she know's everyone in the wet market, sukis and all! ), and actual cooking, she worked her magic even when her eyes were closed. But the crown was passed on to me after she retired from life and crossed-over to the better life with her Creator. So whatever I do right now is of course hers I just added a few twists and a lot of creativity to adjust to the preference of my family. Number of people to feed. If you're really concerned about reducing food waste like I am, it helps a lot to consider the number of people who usually eats at home. This way, you could allocate enough food, know how much kilos of meat or vegetables you would need for every meal that you will prepare at home. I am all for finishing what's on the pot rather than have a lot of leftovers only to find out no one wants to eat them. Average consumption of the family per meal. Do you or your kids eat one or two servings per meal? You would be able to know that if you regularly eat together with the family. Knowing this tiny information about meal consumption could help your household a lot in helping our environment. First you only buy what you know your family will consume and therefore reduce food waste. Balanced nutrition: Meat and Vegetables. I make sure my family gets the best nutrition from the meals I prepare for them. Our meals SHOULD consist of meat and vegetables and of course it should be delicious and cooked just right. Making sure the meals are balanced also helps in Getting More or Doing More with Less. Instead of buying a can of expensive junk food, why not for the same amount buy meat, vegetables and fruits to ensure that the family is getting more from home-cooked meals! Junk food is of course will always be less favored in the family plus for me it's a waste of money if you regularly make it part of your meal. It isn't called junk for nothing right? Budget. Last but not the least, set a meal budget. I'm fortunate we live in an area where a well-maintained wet market is just a few blocks away. Seriously, you could stretch your budget when you buy your meat, vegetables, fruits and other meal ingredients in the wet market from your "suking" stall where you could even make "tawad" or get discounts. You're also guaranteed of its freshness (just make sure you know the stall owner and you educate yourself about how to know if the meat is fresh or not.) But if you are not comfortable buying from the wet market, there are always supermarkets around. Some gives 50% off discounts just a few minutes before closing time. In my next #DoMoreWithLess post, I will be sharing with you my menu plan execution, some easy peasy recipes, and also how to recycle leftover food so the picky eaters won't notice they were left-overs! You could also check Electrolux Little White Book Facebook page for ideas on how to Do More With Less. I took the challenge and it also tagged my friends to participate and be with me in this noble advocate to help our environment. What can you do to upcycle a banana peel? Well, to avoid food waste, at home: 1) I use the inside part of the peel to polish leather shoes. Then get a clean/recycled cloth, like an old cotton shirt, to wipe the shoes and the banana peel remains. 2) I use them as fertilizers too! How about you @deniserayala @toni.tiu @gojackiego? What can you do with your banana peel? Visit the Electrolux Little White Book Facebook page and tell us what else you can do with banana peels for a chance to win a prize from Electrolux. Follow these three easy steps to win: 1. Like The Electrolux Little White Book Facebook page. 2. Post your upcycling tip on the FB post comment box and tell us what else you can do with the featured kitchen scrap. 3. Include ‪#‎DoMoreWithLess‬ and tag three of your friends. How about you? What do you think of the current situation we have with so much food waste? How do you think you could contribute to reduce it? 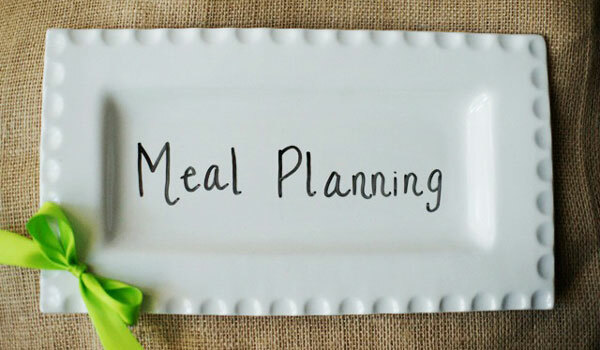 What are your considerations in meal planning? Please do share!